Corey Ribotsky, LIPA’s Hurricane Disaster, U.S. Post Office Going Extinct? Brad Gerstman and David Schwartz are joined by the Ribotsky Institute’s Corey Ribotsky. This week: reaction to LIPA’s handling of Hurricane Irene, the recession and big problems for the U.S. postal service. Plus – A look ahead at the 10-year anniversary of September 11th. Brad and David get ready for the storm of the century while Hurley takes barometric readings and rescues small animals. Then – What’s up with New York City shaking down delivery trucks? Why does New York hate business? Plus – the republican Wack-Pack. Its all here. Batten down the hatches, start the sump pump, pour yourself a strong one while enjoying New York’s Best political talk. New York’s best political talk is right here every Sunday morning. On Today’s show – reaction to the Iowa Ames straw poll,New York’s ridiculous board of regents, the week’s stock market roller coaster. Gotham Talk Radio’s David Schwartz talks to Corey Ribotsky of The Ribotsky Institute. Goodbye, New Jersey! Gotham Talk Radio breaks free of the bonds of mediocrity. We’re here on our own terms, on GothamTalkRadio.net, bringing you the best political talk in New York. Good Morning – We’re Live in New York! Jersey? Where’s Jersey? We’re live in New york… Brad and David discuss the future of New York divorce after the legalization of gay marriage with attorney Steve Eisman. Rikki Klieman joins us with the latest on Dominic Strauss Kahn. Potential New York Mayoral candidate John Catsimatidis talks politics. Part 4 Potential New York mayoral candidate John Catsimatidis talks politics. An action-packed episode of Gotham Talk Radio takes us inside the halls of Albany on the eve of New York’s historic gay marriage legislation. Gotham’s Ian Magerkurth reports. Also, we go behind the scenes of the NFL lockout drama with player consultant Lew Salgado. Plus, we take a closer look at efforts to raise better New York drivers with Allstate’s Krista Conte. Happy Father’s Day!! Do New York sports fans have more class than Vancouver’s? Of course! The very latest update from Albany. 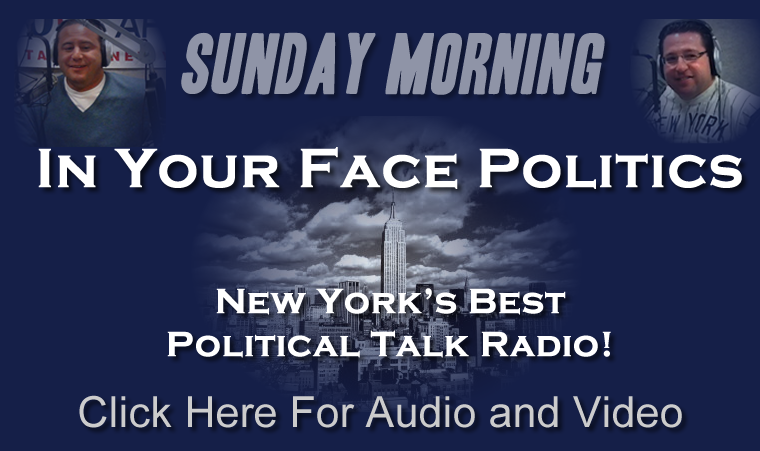 New York Assemblyman David Weprin, Soprano’s star Joe Gannascoli gets to the bottom of New York’s gay marriage legislation and more..
Gotham Talk Radio’s “In Your Face Politics” show this Sunday featured an interview with potential New York City Mayoral Candidate, John Catsimatidis. The show, hosted by New York Politicos Brad Gerstman & David Schwartz, covered big events of the week, including, of course, the controversy surrounding Representative Anthony Weiner. “The FBI has an obligation to investigate whether any of the communications were made to underage women…. I think he should step down” Catsimatidis said. The show then switched gears to focus on rising oil prices. Also featured on the show was NYC Public Advocate Bill de Blasio, who discussed local New York City politics, and Mayor Bloomberg. “Catsimatidis and Deblasio are both potential mayoral candidates and are extremely insightful and both deeply love New York,” Schwartz said. Brad Gerstman and David Schwartz are founding partners of Gotham Government Relations & Communications, one of New York’s State leading full-service advocacy firms.